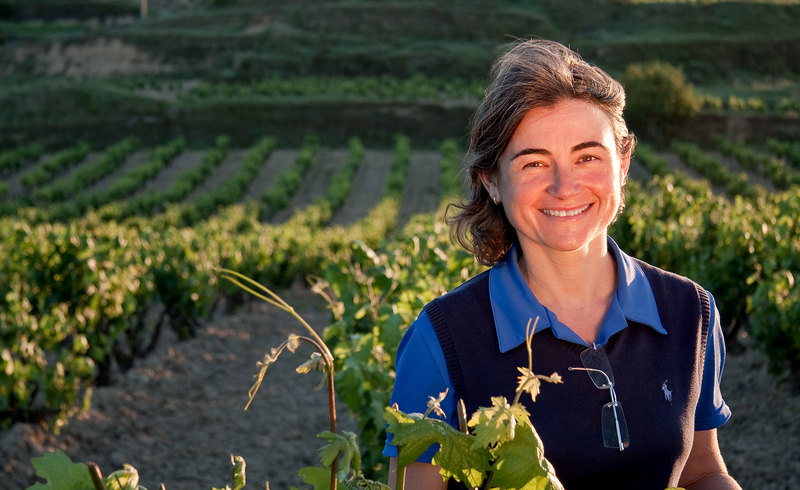 Where Are All the Female Winemakers in Spain? Apart from his famous phrase “in vino veritas” / “In wine there is truth”, Roman philosopher Pliny the Elder (23 to 79 BC) wrote in his “Natural History” that a woman’s menstruation spoiled wine, turned crops unproductive and fields barren. This phrase gave way to a misconception that was upheld from antiquity well into the 20th century by many wineries and distilleries, who would not allow women to work during their menstrual period. Leaving Pliny’s misinterpreted quote aside, there were other social norms (from ancient Greece to the Temperance movements of the 19th Century, women’s drinking was something highly disapproved of by society) that made alcohol –and wine- a prominently male business; and it remained so for a long time. Happily, today things have changed and women are an integral part of the wine industry in every aspect as consumers, buyers, owners, managers, journalists, sommeliers, and of course, incredible winemakers! The idea that machismo impregnates the wine business is not new. Some say that even the language that is used is male-centric (the word “feminine” is commonly used to describe a wine that is subtle and soft, insinuating that its ideal for women, as opposed from one that is potent and robust). The truth is that women have had a very hard time gaining headway in the industry; to such an extent, that those pioneering females who succeeded in the business became world-famous: Nicole Barbe Ponsardin (the original “widow” from “Veuve Cliqot” Champagne); Antonia Ferreira (“Doña Antonia” Ferreira, queen of Port) or Pilar Aranda (“la Dama del Jerez”) are only some examples. In Spain, a country where machismo is sometimes wielded with pride, winemaking was generally considered “a man’s job”. Women usually worked the harvest, labelling and packaging or did the paperwork… Only relatively recently (think 50-60 years ago) did females reach the most prominent positions in the trade; mostly through hard work, knowledge and passion. Today, the country has its fair share of female winemakers who are playing a critical role in the revitalization of the industry. Whether it was out of love for land and location, moved by their passion for wine, by family heritage or by accident, females have taken very different paths in their conquest of Spanish wine. 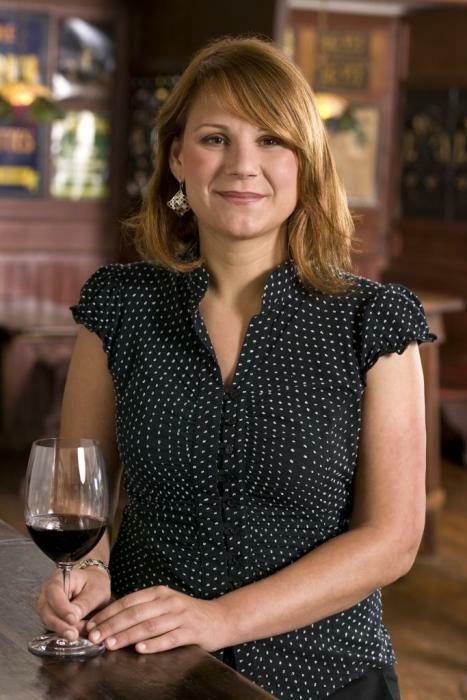 In classic Spanish DO’s like Jerez, Rioja and Ribera del Duero, there are very successful winemakers responsible for global brands who are women: Paola Medina (Williams & Humbert), Reyes Gómez (Sánchez Romate), Elena Adell (Campo Viejo), María Larrea (CVNE), Ana Barrón (Remelluri), María Barúa (LAN), María Vargas (Marqués de Murrieta), Begoña Jovellar (Vega Sicilia), Patricia Benitez (Dominio de Pingus) or Almudena Campo (Pago de Carraovejas) are some of them. University trained, with experience in the industry and undoubtedly wine-knowledgeable, they’ve had to overcome more obstacles than most. Apart from proving their worth as professionals, they had to fight the conventions of the conservative powers that be, prone to preserve the male dominated status quo prevailing in these traditional regions. In other, more modern and flexible regions like Rias Baixas, females have had easier access and reached winemaking positions in over half of the DO’s 200 wineries. Paula Fandiño (Mar de Frades), Cristina Mantilla (P. de Feifiñanes), Luisa Freire (Santiago Ruiz), Asunción Carballo (Adegas Galegas) or Katia Álvarez (Martín Codax) among many others, are professionals who have taken the region to new heights of international recognition thanks to the uniqueness and style of their wines. Family heritage is a common way to progress in the wine industry, regardless of gender. Some of the most powerful women in wine (Gina Gallo, Danièle Ricard, Barones Philippine de Rothschild…) are heirs to generations of dedication to wine. Spain is no stranger to wine family sagas spearheaded by women, for example: María José and Mercedes López Heredia, currently defend their great-grandfather’s 140 year legacy at the head of their winery in Haro; Beatriz and Adriana Ochoa, work shoulder to shoulder with their father Javier in Olite, Navarra; Xandrá Falcó leads her father’s -the Marqués de Griñon– estate in the Toledo D.O. ; or Sara Perez, daughter of José Luis Pérez (one of the renovators of the Priorat D.O.Q.) who is in charge of the family’s winery (Mas Martinet) and is winemaker of Venus La Universal in DO Montsant, a project co-owned with her husband, René Barbier. It’s not like these women have had it any easier than the rest just by being part of the ownership; in many occasions, those who today are proud predecessors were once voicing criticism… Remember that those who love you can be your toughest critics! An overview of the females in the Spanish wine industry wouldn’t be complete without mentioning examples of wineries run entirely by women. Entrepreneurs Victoria Pariente and Victoria Benavides overlook operations in two wineries through Viñedos Dos Victorias: the José Pariente winery in DO Rueda -named after one of the founder’s fathers, an artisan grape-grower and winemaker- and Bodegas Elías Mora which was mentioned at its foundation as the first Spanish winery to have a completely female workforce.Today, this female approach can also be found at Bodegas Viñedos Santa Marina a winery in the Ribera del Guadiana D.O. where winemakers Yolanda Piñeiro (who is also CO) and María Ángeles Castilla lead a crew formed mostly by women. Most of the successful females included here are responsible for international labels found almost anywhere in the world, yet they are only the leading edge of a growing group of professionals who are taking the Spanish wine industry by storm. Living in Rioja and loving its wines, I can’t forget to mention the authors of two of my favorite experimental wines in the region who happen to be female: Pilar Torrecilla, winemaker in her family’s Martínez Alesanco winery, who has recuperated the native Maturana Tinta variety in her “Nada que Ver” label; and Bárbara Palacios, who is blending Tempranillo with the French Merlot variety -grown in the calcareous-clay soils of her family’s 7 hectare vineyard in Haro- to produce her own label: “Barbarot” since 2005… Two women successfully experimenting with wine in one of the highest regulated winemaking environments in the world certainly exemplifies a new awakening in the Spanish industry. The growing milieu of female wine professionals has spurred the development of events geared towards promoting women in the industry, like the Vino y Mujer Awards or finding Spanish women’s favorite wine a wine competition for producers who cater to female wine tastes. Certainly, the industry as a whole benefits from equality, yet this raises many questions regarding the topic of winemaking and gender… Is a wine made by a female really that different from a wine made by a male? Run out to your bottle-shop, look for some of these wines and decide for yourself!! After eight years as a lifestyle journalist in Spain, John decided to abandon his career in favor of brighter pastures and earned a Masters in Wine Marketing from the University of South Australia. Upon returning to his hometown in Logroño (La Rioja) in 2010, he was irretrievably launched into the wine business when he started working for one of the oldest wineries in the region. Supported by the gracious congeniality and great passion for wine he inherited from his parents -who both have over 30 years of experience in the industry-; today, he travels the world representing his brands as part of the winery's export team. John is proud both to learn something new about wine every day and to continue with his other passion: communicating the things he discovers through writing.